Hemlock Wood Top, Pre-Stained to your choice of one of our available standard stain colors. Pressure treated wood 6x6 posts sleeved in white vinyl with decorative base and capital. 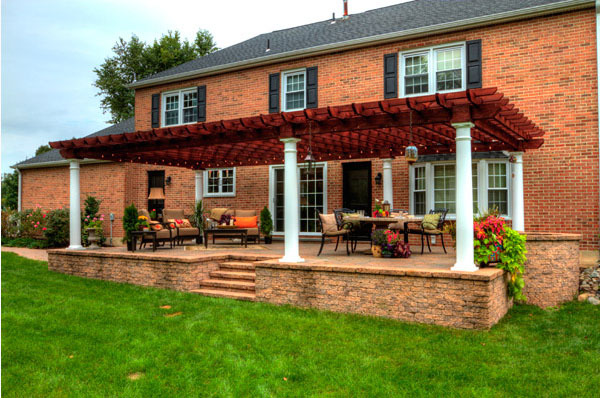 Double ply 2x8 headers on all four sides creates a completely finished look. 2x6 Joists (Rough Cut) spans the shorter side and 2x4 Runner (Rough Cut) span the longer side, notched together for strength and to resist warping. Engineered connection brackets for anchoring to concrete pad and wood decks. 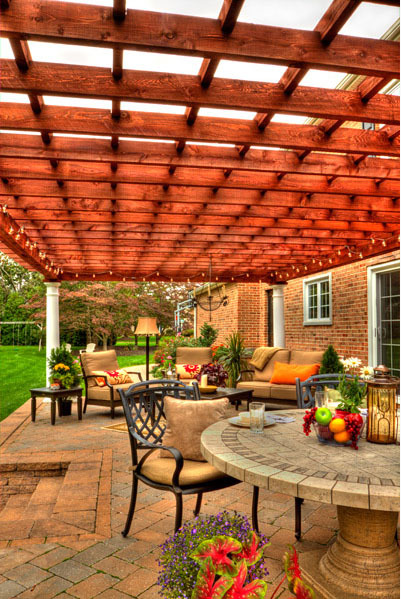 Looking for a cedar pergola? 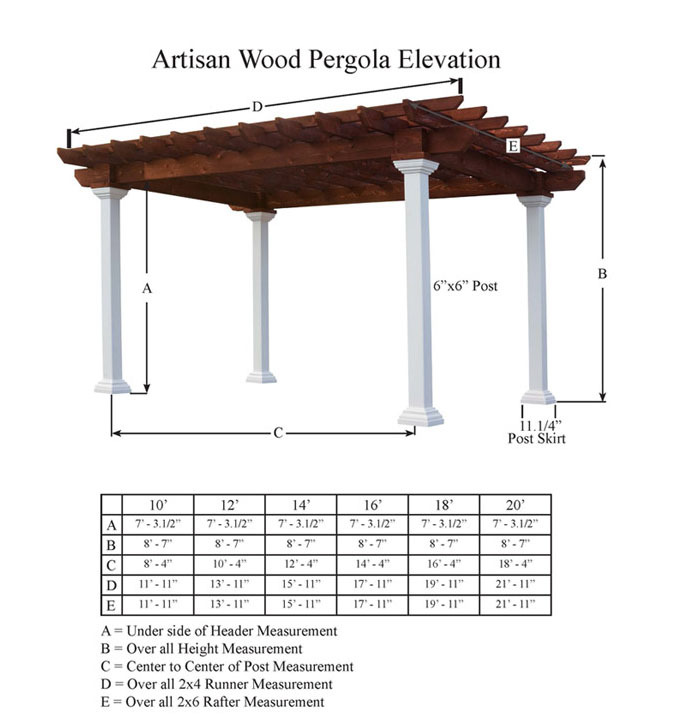 Ask about our optional cedar top on our Artisan pergola line. 8x8 Wood Post: Completes the wood look. Sizes Available: 8'x8', 8'x10', 8'x12', 8'x14', 8'x 16', 10'x10', 10'x12', 10'x14', 10'x16', 10'x18', 10'x20', 12'x12', 12'x14', 12'x16', 12'x18', 12'x20',12'x24', 14'x14', 14'x16', 14'x18', 14'x20', 14'x24', 14',28', 16'x16', 16'x18', 16'x20', 16'x24', 16'x28', 16'x32' & many other custom sizes also available.